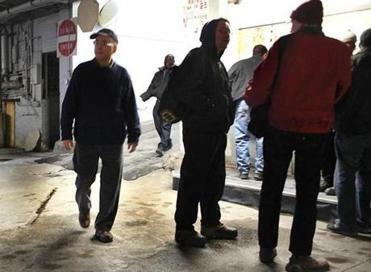 Boston’s cabbies can be a surly lot, but consider what they endure. A Globe investigation finds a taxi trade where fleet owners get rich, drivers are frequently fleeced, and the city does little about it. This article was reported by the Globe Spotlight Team: reporters Bob Hohler, Marcella Bombardieri, and Jonathan Saltzman and editor Thomas Farragher. It was written by Farragher and Hohler. 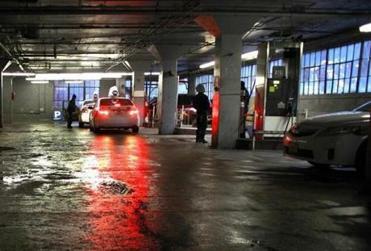 In the belly of Boston’s biggest taxi garage, cabbies shuffle toward a scratched and grimy dispatcher’s window knowing the cost of doing business. If you want to drive, especially on a busy night, you often have to pay the man a little extra to get the keys. One by one they troop to the window, and in an exchange witnessed repeatedly by a Globe reporter who was himself newly licensed to drive, pass along a bribe and are assigned a car for a 12-hour shift. These payments, drivers said, commonly range from $5 to $20. It’s a small-sounding sum unless you are a cabbie struggling to get by. Or until you do the math — hundreds of cabbies, thousands of shifts each year, adding up to hundreds of thousands in illegal tribute. And it is just the beginning. An overview of the Boston Globe Spotlight Team’s none-month investigation into Boston’s $1 billion taxi industry. Explore: Interactive graphic: How does a cabbie make money? Read: Interactive graphic: Could you afford a taxi medallion? Cabbies are routinely forced to pay for gas from the company’s overpriced pumps for tanks they’ve already filled, and are squeezed to make up phantom shortfalls in the payments they make to the cab owner after every shift — shortfalls almost never documented with a receipt. They start each shift in the hole to the company and have to drive like, well, like Boston cabdrivers, hour after hour, to finish in the black. Edward J. Tutunjian (at left), owner of Boston Cab, walked through the garage past drivers waiting at the office window for keys to taxis. The greasing of palms in the basement of Boston Cab is a small snapshot of the corruption — petty and profound — that is marbled throughout the city’s taxicab business. It’s not every dispatcher in every garage, or every cab company, but the unseemly practices are widespread. It is a picture instantly familiar to drivers, dozens of whom told the Globe of the payoffs and rip-offs they must put up with if they want to keep the keys and stay employed. “It might be hard to get serious proof of this, but it’s commonly known that drivers are being illegally overcharged by [taxi] medallion owners,’’ said David Sandberg, an independent cab owner and operator. Actually, the Globe found, serious proof is not that hard to obtain. Just days after receiving his license to drive a city cab, a Spotlight Team reporter heard whispers of payoffs and then witnessed the bribes-for-keys scheme that is considered a common cost of daily commerce at Boston Cab, whose operator controls 372 — or 20 percent — of the city’s 1,825 taxi licenses, the city’s biggest fleet. This profiteering surprises, at one level, because it seems so unnecessary: the cab business is almost effortlessly lucrative — for the owners. The owner of the largest fleet has plowed his many millions of dollars in profits into real estate such as Back Bay apartment buildings, parking garages near Fenway Park, and even Chilean vineyards. All told, Boston cabbies last year opened their doors to nearly 14 million customers and rang up more than $250 million in fares. And those riders paid some of the highest rates among major US cities. Medallions sold seven years ago for $325,000. Today, despite the remnants of a recession, these city taxi licenses are fetching as much as $625,000. 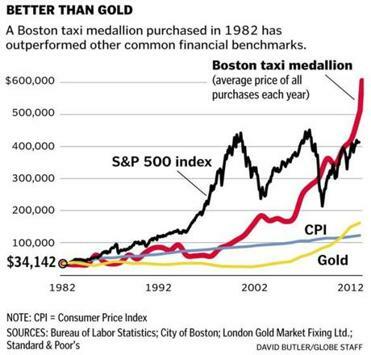 If that appreciation continues unabated, every Boston taxicab would be worth $1 million by the end of this decade. ■ The system’s 6,200 drivers are regularly held to account for myriad regulations governing their professional conduct — from acceptable garb to limits on cellphone use — even to the point of losing their licenses and livelihood. But medallion owners are rarely taken to task, even for much more egregious violations. The city has never, in official memory, revoked a medallion. ■ Passengers in city cabs are put at direct financial risk because cab owners are allowed to buy the bare minimum bodily injury insurance — less than what 85 percent of motorists carry and not even half the coverage required of bike messengers. As a result, many passengers injured in cab accidents have had to struggle to win fair compensation for their injuries. The Legislature has repeatedly refused to address this insurance gap. ■ The hackney division of the Boston police, charged with regulating the taxi business, fails by many measures to do just that. Some basic financial records aren’t kept, much less analyzed. Police do not track crimes by and against drivers or accidents involving taxis. Known violations by cab firms are seldom pursued; and the leadership of the division proved unable to address even some basic questions raised by reporters. ■ And while this sounds like a small matter, it is not: Many cab companies routinely fail to provide drivers with legally required receipts for the payments of $100 or so they must make at the end of each 12-hour shift. With no receipt for these daily lease payments, drivers are defenseless if cab companies accuse them of paying less than the sum due — a regular occurrence in some garages. “I’ve never seen a receipt,” said longtime cabbie Michael N. Holley. The Globe reporter who drove eight nights for the city’s largest taxi owner also was never given this required proof of payment. Police say they have no record of ever citing an owner for breaking this rule. 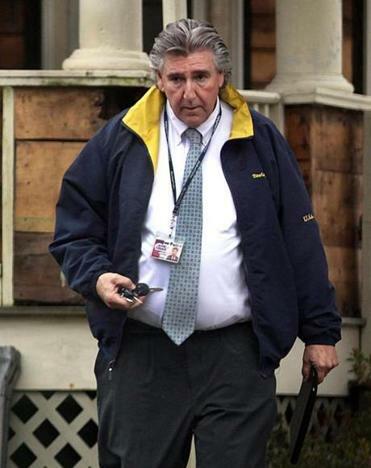 Boston Cab’s owner, Edward J. Tutunjian, whose constellation of taxi companies is known to the public as Boston Cab, dismissed any suggestion that his employees are accepting illegal payments in exchange for the keys to his brown-and-white Toyotas. “I wouldn’t tolerate that,’’ Tutunjian told the Globe during a brief, unscheduled interview in his drab basement office near Fenway Park. But the money-for-keys scheme is an open industry secret, and the ingrained culture in which drivers are taken advantage of has been acknowledged by a former commander in the Boston Police Department’s hackney unit that regulates the industry. The failures of this vital but out-of-balance system appear finally to be ringing urgent alarm bells at the highest levels of Boston police headquarters and in the office of Boston Mayor Thomas M. Menino. In an interview last month, Police Commissioner Edward F. Davis said he was unaware until the Spotlight Team’s inquiries that taxi license owners — unlike drivers — are not subject to rigorous yearly background checks. That will change immediately, he said. Moreover, Davis vowed to exert his sweeping authority to revoke the medallions of owners he finds have exploited their drivers — a sanction that, if he follows through on it, would jolt the industry. Davis has already taken one serious step. Officials told the Spotlight Team the commissioner has sought the assistance of federal prosecutors to explore the allegations of taxi industry corruption. And federal authorities have in fact opened an investigation into allegations of systemic overcharging of drivers and bribery at Boston Cab, the Globe has learned. One source familiar with the investigation said it began after two drivers for Boston Cab told authorities that employees there were walking around with pockets stuffed with ill-gotten cash. If the city now summons new intensity in policing its taxi business, it would be a dramatic departure from recent practice. Mark Cohen, the director of licensing for the Boston Police Department, has been regulating city taxis for nearly 30 years. In that time, he told the Globe, there have been only “two or three’’ instances in which he believed he was hearing genuine accounts of owners financially abusing drivers. Cohen clearly hasn’t been looking hard enough. Over the course of its investigation, the Globe found dozens of drivers who said the industry is rife with petty bribery and rip-offs, and the drivers said they cannot believe that city regulators are unaware of it. The people the system clearly does look out for are the most fortunate, the medallion owners — from big fleet owners like Tutunjian to mom-and-pop operators for whom weekly medallion profits are a kind of annuity. No matter how they misbehave, little comes of it. Take the case of Pyotr Vaserman and Semyon Teperman, who owned 17 taxi medallions in 2003, when they were indicted. They helped pay a city hackney clerk, Neghisti Medhanie, more than $30,000 in bribes as the ringleaders of a scheme to secure hackney driver’s licenses for 20 unqualified immigrants from the former Soviet Union, according to court records. Vaserman and Teperman pleaded guilty to corruption charges and were sentenced to a year in prison. Under a 1930 state law, the police commissioner is authorized to bar “unsuitable” individuals from the industry. Yet the Globe’s review found that Vaserman and Teperman simply transferred many of their taxi licenses, valued at millions of dollars, to family members who control them to this day. Tutunjian himself played a minor role in the case. He wasn’t accused of wrongdoing, but he is briefly mentioned in the federal indictment. Prosecutors said Medhanie, who earned an annual hackney salary of less than $26,000, in 1998 negotiated the purchase of a taxi medallion and a van from Tutunjian for $90,000. Tutunjian’s company helped finance the transaction with a loan of $80,000. The loan was paid off in a year and it’s unclear whether Tutunjian knew of Medhanie’s role in the corruption scheme. Medhanie pleaded guilty to racketeering and money laundering, among other charges, and was sentenced to a year in federal prison. Boston police said it is unclear whether it ever investigated whether there was a link between the fleet owner and a criminally convicted employee of the agency that regulates his business. Similarly, Boston police never revoked the medallions owned by Walid Mobarak after he pleaded guilty in 2001 to bribing a police sergeant to obtain hackney licenses for unqualified drivers. A state judge sentenced Mobarak, a Lebanese immigrant, to two years’ probation for the crime. But Boston police permitted him to retain his four taxi medallions and he has since bought a fifth medallion for $610,000. Davis told the Globe that he would review Mobarak’s suitability to own his medallions. Davis may also want to look into the kid-glove treatment enjoyed by Paul Morrill, a longtime friend of Mayor Menino, who, with his sons — one of them a State Police trooper — controls 11 taxi medallions worth nearly $7 million. Morrill hosted most of the city’s taxi fleet owners at his home for a Menino fund-raiser in 2000. That was during a period when Morrill was accused of misappropriating $200,000 as treasurer of the Independent Taxi Operators Association in a lawsuit brought by the ITOA. When ITOA board members confronted Morrill one morning in February 2002 after he had allegedly tossed company business records in a dumpster, he was charged with trespassing and led out of the company’s Albany Street headquarters in handcuffs, according to witnesses and court records. The Suffolk district attorney’s office chose not to pursue the trespassing charge. Allegations of financial improprieties were not pursued by state prosecutors. Morrill quietly settled the civil suit by paying ITOA $40,000, the Globe has learned. And Boston police have continued to deem Morrill “suitable’’ to participate in the city’s taxi industry. Morrill told the Globe that he has not been involved in the taxi business for 12 years. Yet police records show he still owns two medallions. And then there is the case of Edward Kempner, a longtime medallion owner, who in 1991 pleaded guilty to tax evasion for failing to pay $36,000 in state sales taxes. Kempner said he never collected sales tax from drivers, and chalked up his failure to pay the state to poor management. Prosecutors said Kempner gave the “feeble excuse’’ of being too busy to pay his taxes. While he was not paying his taxes, they noted, he bought six more medallions. In 2009, Kempner sold 26 medallions to Tutunjian for $362,500 apiece, or more than $9.4 million. Today, he still benefits from one medallion, which is registered under the name of his wife. But despite the sorry behavior of some medallion owners, neither Cohen nor other hackney officials could recall ever stripping a license from its owner. “To my knowledge, we have never revoked a medallion,’’ Cohen said. He does, however, insist that those who seek to buy medallions are carefully checked before their licenses are approved. “We make sure that that sale is to a suitable person as best we can,’’ he said. The claim is hard to square with the handling of the application of one Victoria Rose Crisafulli who was officially listed in 1998 as the sole officer, director, and shareholder of Seventh St. Taxi Inc., a company that controlled medallions purchased by fleet owner Anthony Ilacqua Sr.
Who was Victoria Rose Crisafulli? No one, it would seem. “No person by that name exists,’’ a Suffolk Superior Court judge ruled in 2008 in an Ilacqua family legal dispute. According to court papers, Ilacqua was present when his son Steven signed the official corporate documents in the name of Victoria Rose Crisafulli. Steven’s daughter is Victoria Rose Ilacqua. Her mother’s maiden name was Crisafulli. At the time she was approved to own a medallion, Victoria Rose was all of 10 months old. And she remained the owner of record for the next five years as Ilacqua enlisted family members to serve as “straw’’ owners of his taxi corporations to limit his insurance liability. Hackney’s see-no-evil habits when it comes to policing medallion owners make the rare exceptions to that pattern stand out. The treatment of Sheila Corbin is one of those telling cases. The dispatch window at the Kilmarnock Street garage that houses the taxi fleet owned by Edward Tutunjian. Corbin, a Boston native who taught in a city middle school before relocating to the Pacific Northwest, inherited two medallions from her father that yield $1,000 a week from drivers who lease them. Corbin said that as a result of Morrill’s action, her insurance rates skyrocketed by $30,000. Morrill, the son of Menino’s friend Paul Morrill, is a Massachusetts state trooper. In court, Corbin represented herself, while Morrill was accompanied by his attorney. Also in attendance was then-hackney Lieutenant Ciccolo, a top enforcer of the city’s taxi regulations. Morrill’s lawyer argued that his client was not responsible for the dramatic increase in insurance costs. The judge at first suggested mediation as a way to settle the dispute. But then Ciccolo chimed in. He said it was Corbin’s duty, not Morrill’s, to ensure that drivers were operating safely. “I would be submitting this to a board of three captains who would rule on whether or not she’s a suitable person to own a taxi medallion due to her violation of the rules,’’ Ciccolo told the judge, according to the court transcript. In short order, Corbin surrendered. Repeated attempts to reach Morrill were unsuccessful. He now owns four medallions worth nearly $2.5 million. A spokesman for the Massachusetts State Police said the department was not aware that Morrill owned taxi medallions — licenses for commercial vehicles often policed by state troopers — until a Globe query. David Procopio, the State Police spokesman, said Morrill’s involvement in the taxi business “is not authorized by the department’’ — a finding Morrill is disputing. “Our legal section will reiterate our position to Trooper Morrill,’’ Procopio said earlier this month. It is a flimsy piece of tin literally worth much, much more than its weight in gold — the medallion number screwed into the rear of each of the city’s 1,825 taxicabs. The number of medallions has risen only modestly from the 1,525 licenses the city had authorized in 1934. And this strict limit on supply has been a ticket to El Dorado for longtime owners. In 1934, each medallion was worth $50. In 1995, they sold for $92,000. Their appreciation rate over three decades has outpaced the trading price of gold and the Standard & Poor’s 500 index. Besides enriching owners, the other predictable side effect of the medallion cap is that there commonly are too few cabs available to accommodate more than 6,200 licensed drivers. That makes drivers feel constantly on edge about losing their livelihood, and emboldens fleet owners to act with a sense of impunity. Boston cabbies for many years were classified as employees of their taxi companies, with owners and drivers splitting the daily meter receipts and drivers keeping their tips. At some companies, drivers received an array of benefits and protections, including subsidized health care coverage, paid vacations, pensions, and worker’s compensation. Taxi fleets gradually stopped hiring drivers as employees in the 1970s after the police commissioner lifted a decades-old ban on medallion owners leasing cabs to independent contractors. Today, behind the wheel of about half of Boston’s cabs are so-called shift drivers, who own neither the car nor its license. The shift drivers pay to work: a fixed fee of about $100 due after every 12-hour shift, not including gas and, in numerous cases, improper charges and illegal payoffs. For the owners, there’s a steady stream of money, a vast amount of it cash. For each cab an owner rents for two shifts a day, 300 days a year, he earns about $60,000 annually. “Regardless of how busy a day it is, regardless of how the work is . . . or whether there’s not enough passengers out there, [the owner] knows he’s going to get that shift fee from every driver, every 12 hours, rain, shine, whatever,’’ said attorney Shannon E. Liss-Riordan, who has filed a class-action lawsuit in Suffolk Superior Court challenging the independent contractor system. The system’s chief regulator is Cohen, who attended the University of Pennsylvania and has worked for the Boston police since 1985. He is credited with transforming Boston’s taxi fleet from a rag-tag collection of belching clunkers to an industry propelled by late-model vehicles, many of them gleaming new hybrids. Cohen, who sits on the board of an international association of transportation regulators, helped usher in a requirement that all cabs accept credit cards. He also introduced 100 wheelchair-accessible taxis into Boston’s fleet of cabs. During an interview with the Spotlight Team, Cohen was alternatively expansive and brusque. And yet, on some basic topics, he seemed remarkably uninformed. The Police Department requires medallion holders to file annual financial reports, but Cohen said he has stopped enforcing that rule because the reports were “bogus” and a waste of time. The need for the reports, he said, has been supplanted by more reliable financial data obtained from credit card machines and modern taxi meters. After Cohen promised to explain that data to Globe reporters, he struggled during a PowerPoint presentation at police headquarters to decipher the basic economics of his own division. He finally referred detailed questions to a city-hired consultant. Cohen’s unit also apparently has lost track of a fund established in the late 1980s for taxi drivers who die while on duty. According to a 1988 document supplied to the Globe by the Police Department, the “bereavement fund’’ was administered by the hackney unit, whose chief uniformed officer was a member of the fund’s board. Times are good for medallion owners. “The health of the industry from the ownership point of view is very, very strong,’’ Cohen said. And, he said, stories told by some cabdrivers about a minimum-wage existence for long hours and no benefits must be taken with a grain of salt. “If you say to a cabdriver, ‘Are you making any money?’ they’ll say, ‘No. We’re going broke. It’s terrible. It’s terrible out there,’ ’’ Cohen said. Cohen’s outlook makes him a lightning rod for cabdrivers who believe that the city’s hackney unit is enabling the economic squeeze they feel. Many drivers said they consider him imperious and dismissive, as if they were petulant children. “I think contempt is a mild word for how he feels about cabdrivers,’’ said Donna Blythe-Shaw, staff representative of the United Steelworkers and the Boston Taxi Drivers Association. In a casual conversation last fall with two Globe reporters in the lobby of police headquarters at 1 Schroeder Plaza, that antipathy seemed clear. “How did you get into this business?” Cohen was asked. “I used to teach kindergarten,’’ he quipped, a wry smile creasing his face. Instructing 5-year-olds, he explained, is a perfect training ground for working with cabdrivers. The Globe investigation found that most drivers are well aware of — or directly victimized by — the pattern of overcharges and the expectation that palms will be greased if you want to drive. That makes it infuriating to them that the hackney division professes to know nothing of the grimy reality of life in the city’s taxi garages. Shift drivers must pay a fixed fee of about $100, due after every 12-hour shift. Also, many allege, they must pay bribes to simply get on the road. Drivers told the Globe that they and most of their peers are wary of complaining to hackney for fear of retaliation when word gets back to the garage. And even when they do speak up, they say they receive little or no satisfaction. Take Pierre Nammour, for example. Nammour, a native of Lebanon and father of three, has been leasing a medallion for 10 years from a small owner. The medallion owner recently transferred the license to her son. A paperwork goof left the medallion unusable for seven days. That left Nammour without wages for a week, and still owing a healthy chunk of his monthly rent payment to the medallion holder. Hackney’s rules on this are clear: If a driver loses time because his cab needs repairs or is out of commission for such glitches, the owner must pay him $8 an hour. Nammour said when he reported the violation to a hackney police officer, Sergeant Mark J. Fleming, he was encouraged to tread lightly. Fleming told him he could win his case but might anger the medallion owner and risk their 10-year business relationship, according to Nammour. Were he to overcharge someone $10 in his cab, Nammour said, the hackney unit would exercise no such genteel diplomacy. Discipline would be swift, he said. A police spokeswoman said Fleming does not recall the complaint. Hackney officials, after the Globe’s inquiry, said they are now investigating. Drivers aren’t expecting much to change. Taxi drivers, or at least some of them, are not the most sympathetic characters in town. Most passengers have encountered a surly cabbie, or a driver who spends the ride on his cellphone, or doesn’t know the basics of Boston geography, or claims he can’t take a credit card for payment. But put yourself in their world, and some of that misbehavior seems easier to understand. Drivers can spend the first five to six hours of their shift — longer sometimes — earning enough money to pay for the daily rental fees due the owners. Regular $10 bribes or $25 in bogus overcharges can mean the difference between a working wage and chronic behind-the-wheel anxiety. “Panhandling on wheels,’’ is how one longtime driver described the business. Nas Farah, a 34-year-old father of two, knows the feeling. A licensed Boston cabdriver since 1999, Farah found his way to the United States from a refugee camp in Kenya in 1995 after having escaped civil war in Somalia. He had dreams of medical school. But more practical concerns intervened. He needed a job and found the independence of driving a taxi an alluring option. 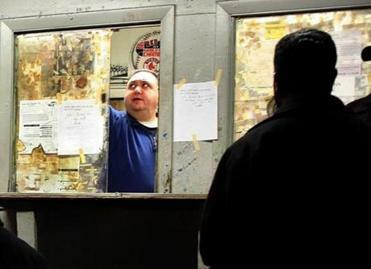 Like many other drivers, Farah found his way to Tutunjian’s garage on Kilmarnock Street in Boston’s Fenway neighborhood. With hundreds of cabs wheeling in and out every 12 hours, drivers, particularly new drivers, often chart a course there. Farah, like other drivers interviewed for this story, said he is often charged for gas, even when he returns his cab with a full tank. He carefully counts the money owed to Tutunjian, slipping the cash into a drop safe, yet is sometimes told days later that he is short. When he first started, he had to slip dispatchers cash for keys, a practice that he said diminished as he became more established at the garage. Many drivers have described Tutunjian as an avuncular presence with disarming charm. Mark Cohen, director of licensing for the Boston Police Department, has regulated city taxis for nearly 30 years. Blythe-Shaw, whose Boston Taxi Drivers Association claims 1,200 members, lays the blame for exploitation of drivers squarely at the feet of Cohen — and Menino, whom she has implored to clean up an industry that she said rewards millionaire owners at the expense of drivers. The Police Department’s taxi regulations offer protection to drivers like Farah who report violations. Any owner who retaliates risks losing his livelihood. On that point, the police commissioner was unequivocal. If drivers are fired for openly complaining about being defrauded, Davis said, his department will do something it hasn’t done in recent memory: revoke medallions. “I want these guys to know I’m not fooling around,’’ he said. Matt Carroll of the Globe staff performed database analysis for this project.